A little while back, one of you lovely ladies requested a guide for stretching out shoes that are too tight. Thankfully, I have a bit of experience with this problem! By the time, I discovered these wedges, my size had sold out. Because the style was so versatile, I went ahead and got it in the next size down. But, the darn shoes were SO tight, that I could not bear to wear them! Thankfully, leather shoes can be stretched. Here's the best way that I know of! Step 1: Saturate the cotton swab with the alcohol. Step 2: Wipe this right where you wish the shoe would stretch. ONLY on the INSIDE of the shoe, please! For me, this was inside the whole toe area. The area that needs to be stretched should be damp with the alcohol. 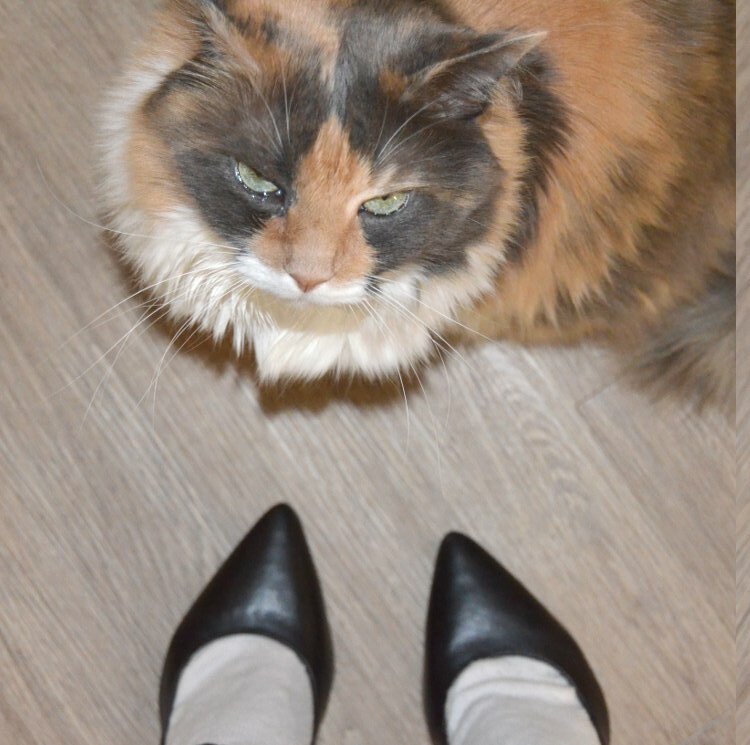 Kitty disapproves of the sock with heels look. 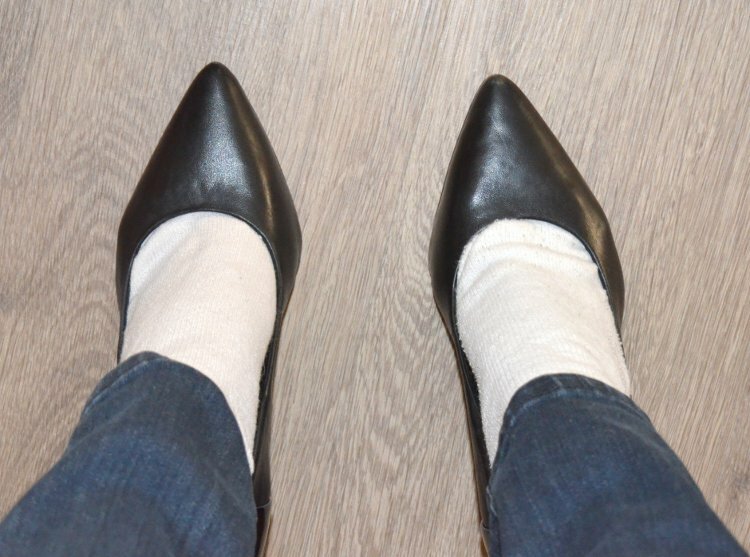 Step 3: Put on your old socks and put on your shoes. Walk around the house with your shoes. Wear the shoes for about an hour. Every once in a while, get up and walk around the house. Step 4 (optional): Condition the leather. The alcohol will dry out the leather a little bit. Nothing noticeable. But, for expensive leather shoes, it is a good idea to condition the shoes afterwards. After this process, your leather shoes should be VERY comfortable! This technique also works on boots that are too tight around the calf! We love it when you send us blog requests, because we know that the resulting article will be enjoyed. :) If there's a topic that you'd like us to cover, let us know in a comment or email. If you like our tutorials, check out our other tutorials such as how to remove pen marks from Christian Louboutin soles, diy zipper pull, and how to wash Herve Leger.